How to Bypass Google Account on Samsung Galaxy S5 Neo with OTG Cable? 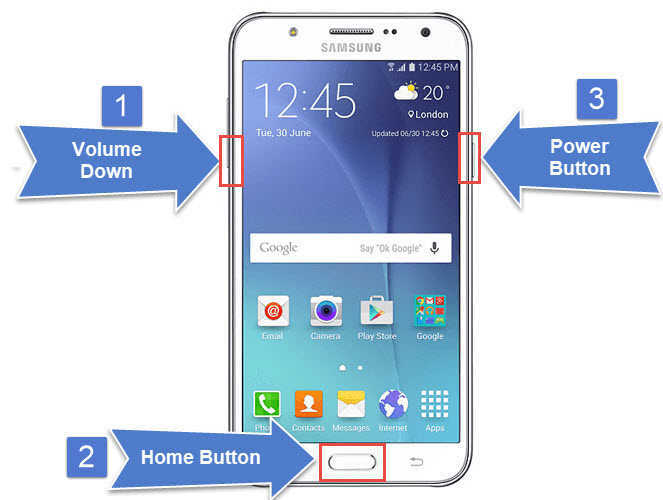 It’s a full step by step guide on how to downgrade Samsung galaxy J7 or Samsung J5 without deleting any data from your phone. Any data for example applications which you have downloaded, your pictures, messages, contacts, phone numbers or everything will be restored to how it was. 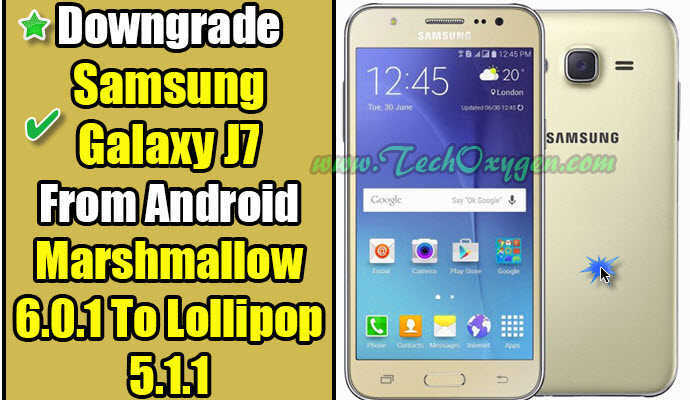 So, if you are using Android Marshmallow 6.0.1 version and you want to downgrade Samsung Galaxy J710F/J700H or Galaxy J510F/00H to Android Lollipop 5.1.1. Follow this step by step method. First download these software into your computer. Choose your country and download the Stock Rom of (Android Lollipop 5.1.1) which supports your Samsung Galaxy J7 or J5 device according to your country. First install “Smart Switch Software” and Samsung USB drivers into your computer and connect your phone to your PC. Then open smart switch and click on “Backup”. Creating a backup is important to secure all your data. Because through this downgrade from marshmallow to lollipop method for samsung j7 all the data may be lost. With the help of Smart switch you can create a backup file inside your computer and after downgrading to lollipop you can have your data as it was. 1. Install Odin Software into your computer. 2. Power off your cell phone, once you feel the vibration. Press and hold down “Volume down + Home button + Power button” Simultaneously until you see the warning sign on the screen. 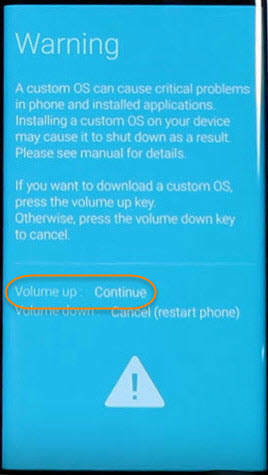 Then press Volume Up to enter into download mode. 3. 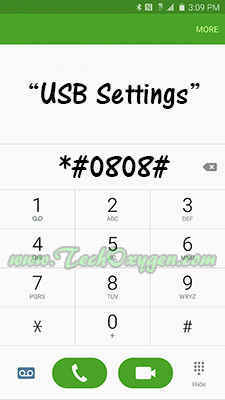 Once that is done simply plug in the USB data cable to your J7 phone and connect it to your computer. When your phone connected to your computer then right click on the Odin and run it as administrator. 4. 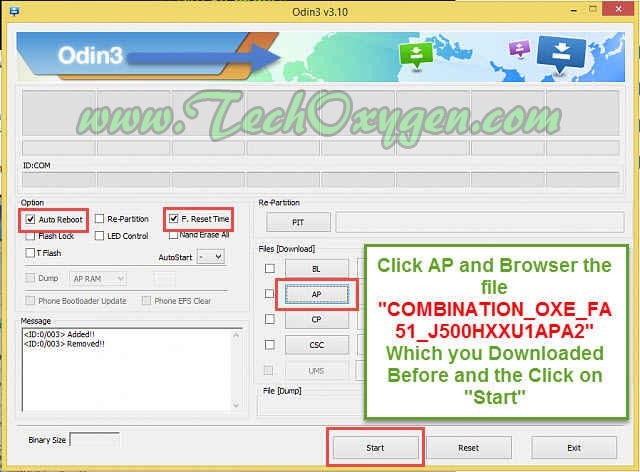 In Odin click on “AP” and then locate your Stock Rom which you downloaded before (For Samsung Galaxy J7 Android 5.1.1 or Galaxy J5 Lollipop 5.1.1) and open it into Odin. 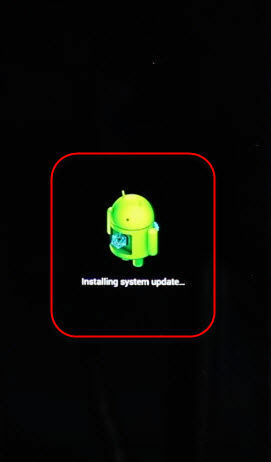 It will take couple of minutes to open it into Odin, depending the size of the Stock Rom. 5. Once it uploaded into Odin, click on “Start” it will take almost 6 to 8 minutes to complete this process. When “Pass” sign appears with green light in Odin, remove the USB cable from your phone and also remove its battery. 6. Put the phones battery again into it, then press “Volume Up + Home Button + Power button” at the same time to enter the Recovery mode. When Android logo appears let go all the buttons. 7. 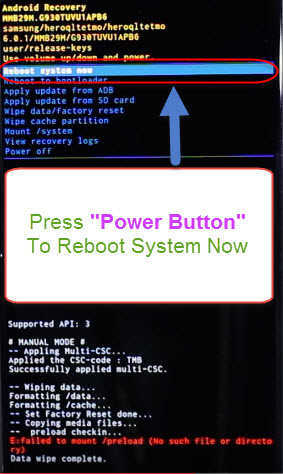 After some seconds, “Android System Recovery” screen will appear, now press volume down to navigate “wipe data/factory reset” and press power button to confirm. 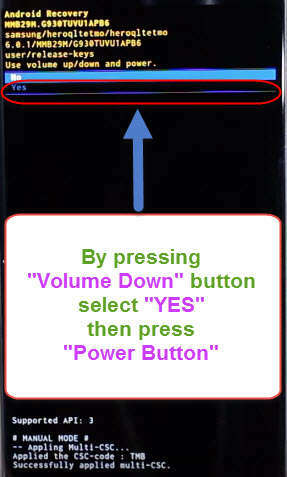 Then press volume down button to navigate “Yes — delete all user data” and again press power button. 8. 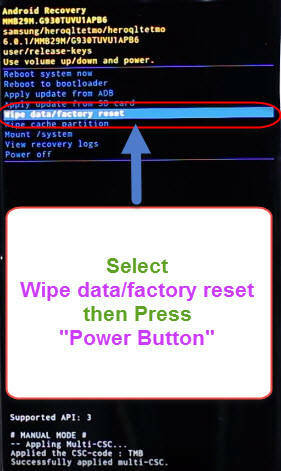 Then an other screen will appear, press volume down button to select “Wipe cache partition” and press power button to confirm, and again press power button to “reboot system”. It will take hardly 5 minutes to complete the reboot process. Once your phone reboots just complete the initial setup and after that you can see your phone is now running at Android Lollipop Version 5.1.1. 1. Connect your Samsung Galaxy J700F, J700H or Galaxy J500F, J500H phone to the computer with USB data cable. 2. Now on your computer launch Smart Switch software and simply press “Restore” and Restore now. So, restoring data procedure will start. On your Samsung device it may ask you to allow some of the permissions, make sure to check your phones screen while doing this method. After restoring data done, you can power on your phone and have your all important data as it was before. I hope this method “Go back to Android Lollipop 5.1.1 from Android Marshmallow 6.0.1” for Samsung Galaxy J700H, 00F, J710f or Samsung J510f, J500F, 00H works for you. If you still have any issue feel free to ask me in the comment. 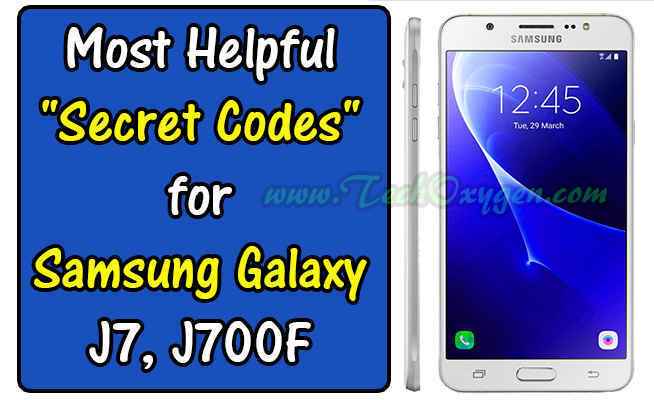 In this post we are going to share with you some of the Most Helpful “Secret Codes” for Samsung Galaxy J7, J700F with (Android 5.1.1, 6.0). 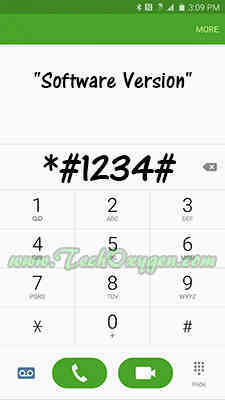 With the help of these Codes you can check “Hardware and Software” version, IMEI Number and Serial Number, Service Mode, Battery Status, USB Settings, Test Mode and you can do a Quick Test of your J7 phone as well. All these Secret Codes will work for Samsung Galaxy J700M (LATAM); J700H with no LTE (South Africa, Pakistan, Vietnam) and also for Samsung J700F 6, (2016) Variant. 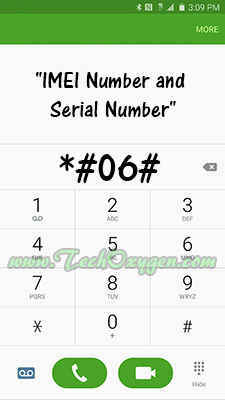 Sometimes it is important to know about the IMEI Number and Serial Number of the device. 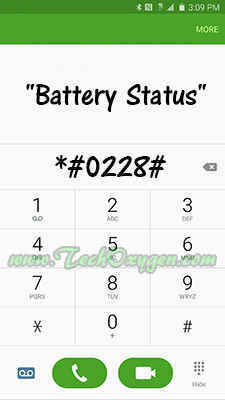 It is also written on the back of your phone that can be checked by removing the battery of the phone. But it is more easy to just type this CODE and get the number. 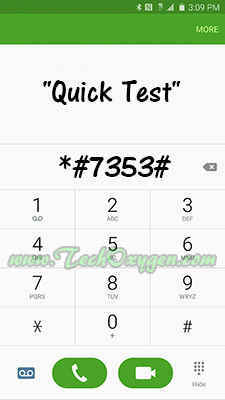 Quick Test is the best Secret Code to check if everything is fine in your phone. 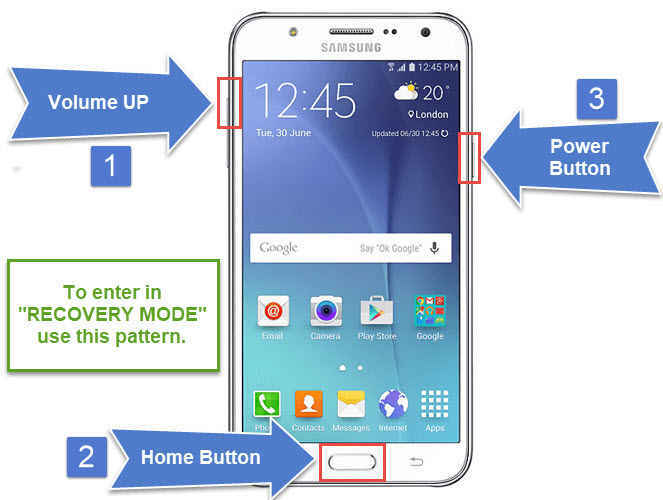 After typing this code, you’ll get 12 different options to check everything about your Samsung J7 device. 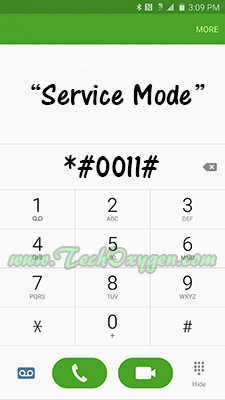 Now this Test MODE code is also quite similar to the Quick Test Code. Because it will also show you different options to check your J700F Phone more perfectly. All these Secret Code are very helpful to know more about Samsung Galaxy J7, You can easily get to know everything important about your cell phone. Works in Every model of Samsung phone whether it is 2015 Samsung J700H or It’s 2016 Samsung Galaxy J700F 6.